Nigerian Breweries Plc. 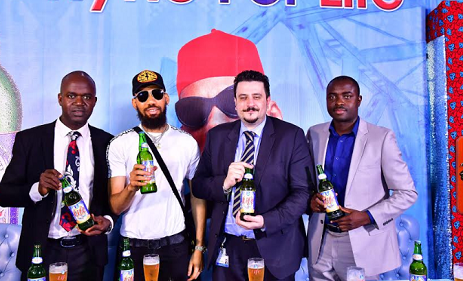 has announced the signing of the award-winning Nigerian rapper and actor, Phyno, as the new ambassador for the leading brand of premium beer in the southeast, Life Continental Lager Beer. Speaking at the opening ceremony, Mr. Maria Franco Maggi, the Marketing Director of NB Plc. "Working with a great act like Flavor and this new collaboration with Phyno, one of Nigeria's most successful artists and proud son of the Igbo community, is further proof of the mission of the Life Continental Lager beer to effectively promote the music, the beliefs and traditions of Igbo, and progressive cultural values ". We say great congratulations!